Dr. Feldman has been practicing veterinary medicine since June 2008. Originally from Iowa, she attended Wartburg College in Waverly, Iowa, for three years prior to admittance into veterinary school at Iowa State University. After receiving her doctorate from Iowa State University, she completed a one-year internship in small animal medicine and surgery at The Florida Veterinary Referral Center. 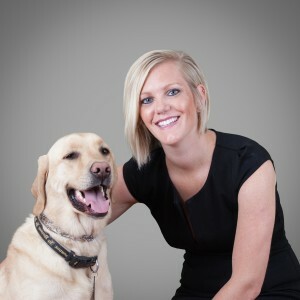 She then moved to the Chicago area and practiced emergency medicine prior to joining the Oswego Animal Hospital in 2012. Her interests in veterinary medicine include emergency medicine, soft tissue, and orthopedic surgery. She owes her interest in veterinary medicine to her father and grandfather who are also veterinarians.